Shopping for Looney Tunes Magnets? Decorate your fridge with Elmer Fudd! 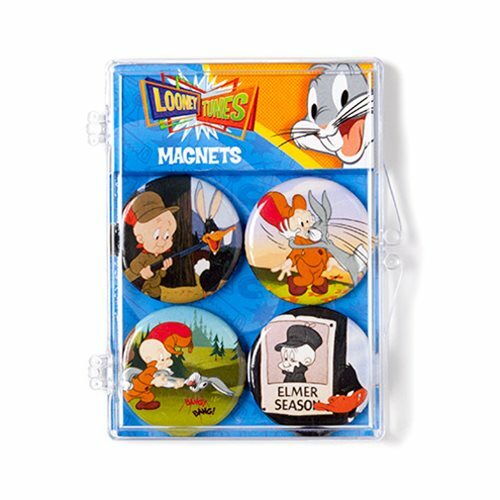 The magnets in this Looney Tunes Elmer Fudd Magnet 4-Pack feature hilarious scenes of that dopey hunter from Looney Tunes as he tries to match his dim wits with the likes of Daffy Duck and Buggs Bunny. Set comes with 4 magnets to do with what you please!